these think-tank types, or whether they include actual members of Congress.” Still, given the need to transform the U.S. social safety net into a rational, market-based system, any support from the left is a hopeful sign. People are, of course, free to redefine terms: trying to avoid tainted terms is commonplace—people are no longer ‘fired’ but are given ‘new career opportunities.’ But it is important that the affective trappings of the term ‘premium support’ not protect the harsher realities of voucher plans from the scrutiny they deserve. The recently released plan of the House Budget Committee chair, Paul Ryan (R-WI) is illustrative. 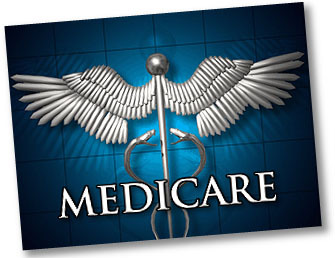 The Ryan plan would replace traditional Medicare with a voucher indexed to consumer prices….As long as any of these plans ties support to indices that are virtually certain to lag health care spending and thereby promise erosion of benefits, they are not premium support, unless the term is redefined to suit the moment. I could swear I’ve written about this before, and — oh, wait, I have. I put up this post just last month. Bottom line: plenty of liberal healthcare wonks have written favorably about real premium support (though, ironically, Aaron himself is less enamored of it than he used to be), and plenty of liberal healthcare wonks have written favorably about using competition to help drive down healthcare costs. It’s a key component of Obamacare, for example. It’s a free country and Paul Ryan can call his plan anything he wants. But that doesn’t make it so. The fact is that liberal wonks didn’t object to Ryan’s plan because it included premium support, they objected to it because it’s not premium support. It’s a voucher with a very slow rate of growth that (a) does very little to actually rein in healthcare costs and (b) within a couple of decades would leave seniors paying enormous out-of-pocket expenses for medical care. It was that stingy rate of growth and unwillingness to tackle cost growth that turned off liberal wonks from the start. There are still plenty of us willing to support variations on genuine premium support plans that genuinely try to rein in medical costs and insure that seniors can continue to receive reasonable care at a reasonable price. So I think I’ll hold off on any apologies for now. Paul Ryan’s plan was never either serious or courageous. It was a meat axe designed to get him applause from true believers and headlines as a “bold” thinker. But if he ever does get serious, I imagine he’ll find plenty of support from liberals. We’ve been there for a while.